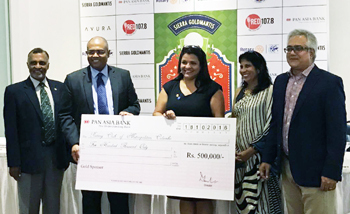 Pan Asia Bank joined hands with Rotary Club of Colombo Metropolitan as Gold sponsor for its charity golf tournament. This event which consists of a golf tournament and golf carnival is organised by Rotary Club of Colombo Metropolitan at Royal Colombo Golf Club. Proceeds of this event will mainly go towards the Rotary Foundation for its global campaign to eradicate polio and for service communities around the world, and to fund a local community project to be carried out at the Castle Street Hospital – Maternity Wing with the aim of reducing infant mortality, poverty and disease. The tournament took place on 12 November, with the participation of over 250 golfers.